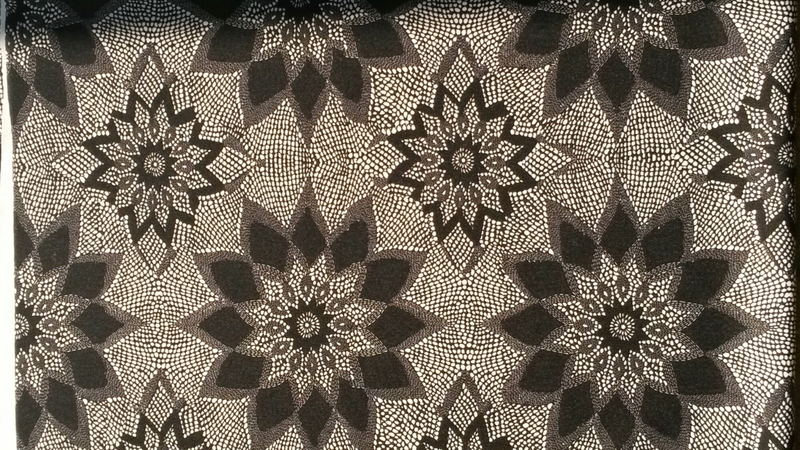 This fab fabric was from Lucky Fashions and it’s reversible. To me it’s crying out to be a shirt dress – I’m thinking Pauline Alice Cami. 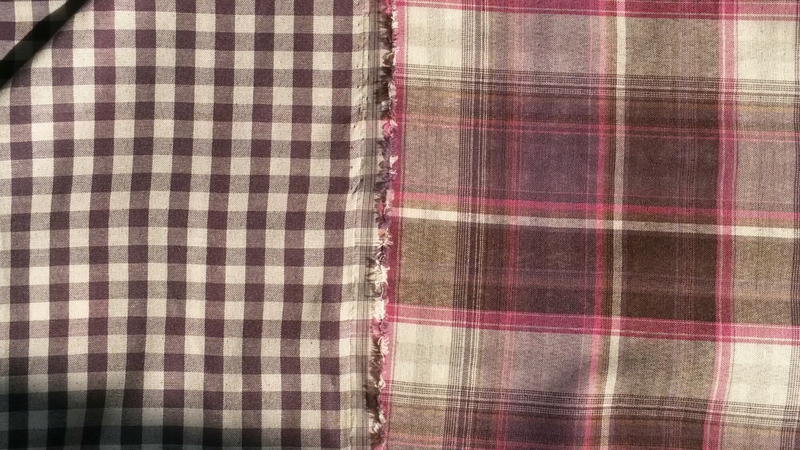 The reverse side would make a great collar, cuffs and pocket. I’ve seen some lovely versions of this dress on the internet. 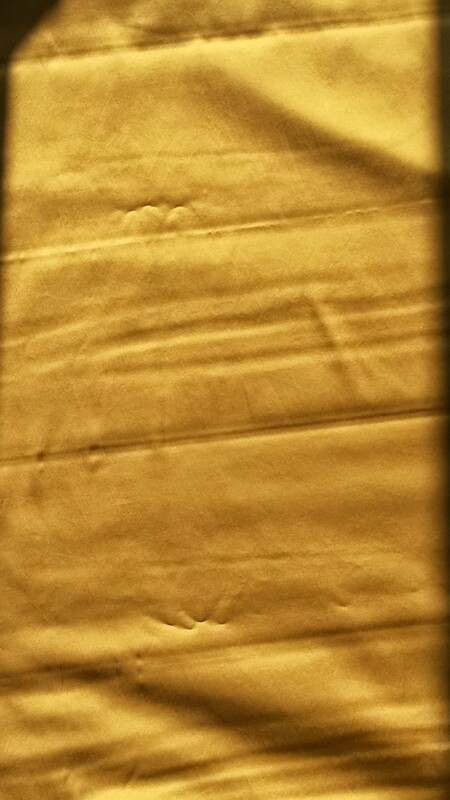 This is the fabric I’m most relieved about getting. 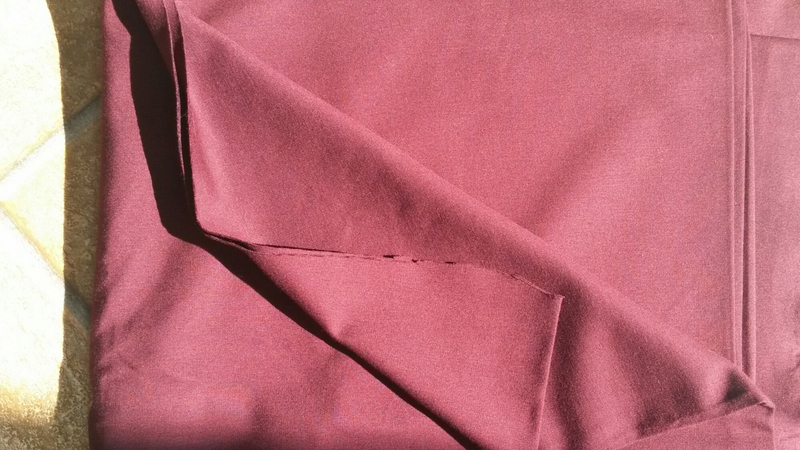 After much hunting around, and thinking I may have to risk an internet purchase, I have finally got my bridesmaid dress fabric. I had envisaged silk, which this is not. It’s a cotton sateen and the colour matches the colour card I’d been given perfectly! My original plan was to make most of By Hand London’s dresses as toiles and decide which I like best. Seeing this fabric, I had to strike while the iron was hot and make a decision as the different patterns require different fabric choices. 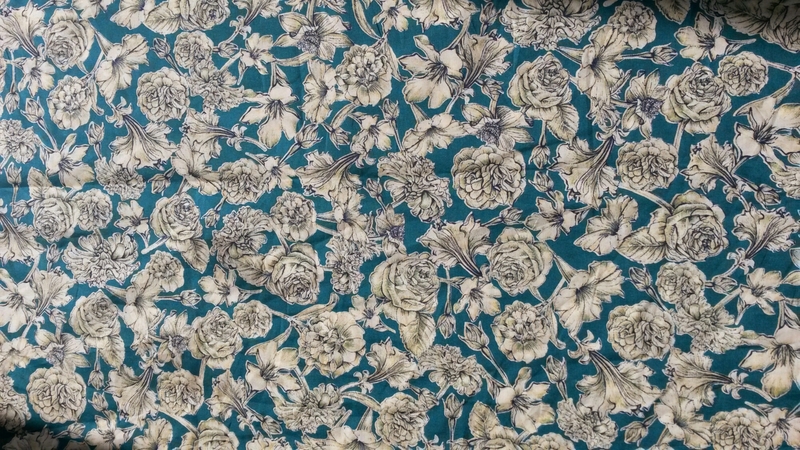 This fabric has a lovely drape and will be perfect for the Flora. I bought the remainder of the bolt – about 4 metres. This was my splurge. A gorgeous Liberty print cotton lawn. Destined for a summery top I think. The next fabric is a stretch Jersey. It’s quite thick and heavy so may be quite warm. 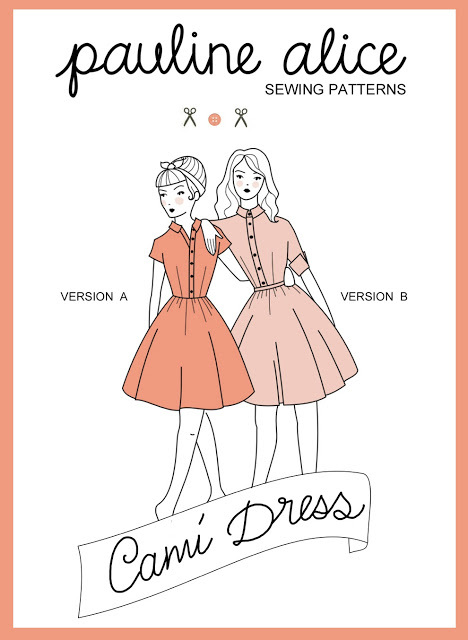 I was thinking the “in a twist dress” by So Sew Easy. It would also be perfect for this…. And finally some scuba fabric. Don’t know what I’m going to do with it yet (any ideas – 1m of 60″ wide). Oooo! Your fabric looks just as good in the pix as in real life! I still need to go back and buy that checked one before they sell out. A word of warning about the gbsb dress – I’ve just made it, wait to you see what a buggar I look in it before you cut into your fabric! If you look at the women wearing it, one of the shots makes her head look tiny & the rest of her massive – that’s just what it did to me! Maybe it’s just me that’s not tall enough to carry it off! It was lovely meeting you too! Thanks for the heads up about the GBSB dress. Everyone has been really raving about it but I think it is quite odd. Probably not my thing anyway. I look forward to your post about it! I was about to respond on your title alone as fabric shopping is one of my most favorite things ever to do! And to think of doing it with other like minded women seems super special! And then I saw the rest of your post and wow! It is awesome! 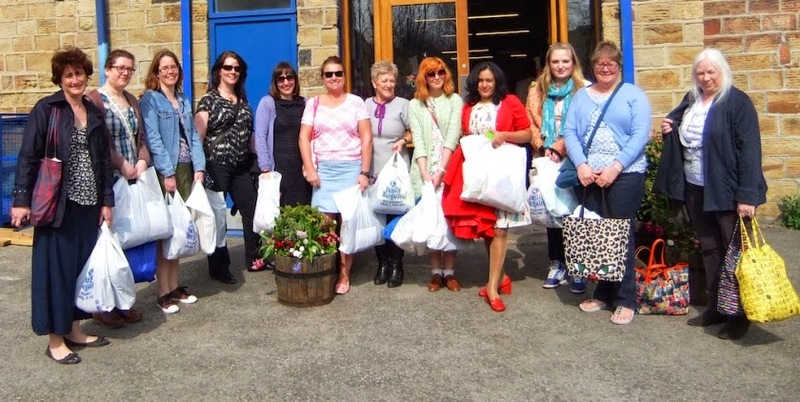 Thank you for sharing your experience and inspiring an already happy sewing spirit! Great purchases and beautiful pictures. I especially love the simple beauty of the sleeveless top. Thank you so much for commenting! I must admit I did go home happy yesterday and am now itching to start! Lovely haul! I was that busy shopping I don’t think I actually saw what everyone else bought! Going to post mine up tomorrow! Like you my fabric is washed and ready to go! I’ve already cut out my first project and a pattern for another one! I’m really excited! Was lovely meeting you and hopefully we will all be able to get together again soon! It was lovely to meet you too! 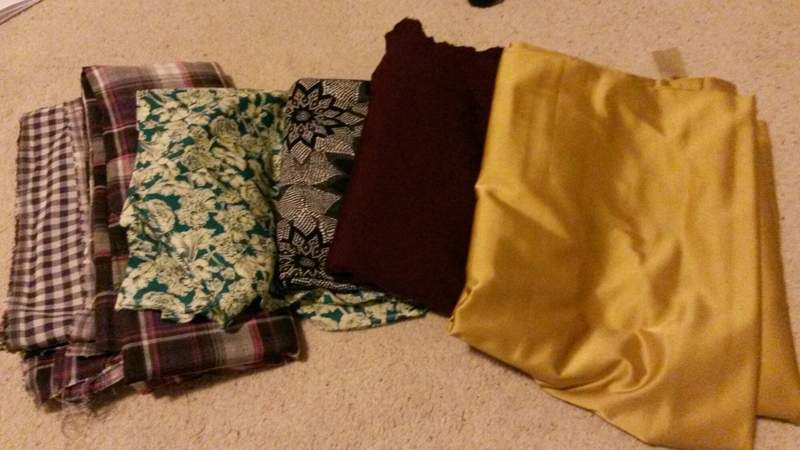 I noticed you bought a fair bit of fabric yourself. I’m really looking forward to reading about it! Didn’t we have such a great time! I loved meeting everyone in real life! Hope to see you again soon!! It was great wasn’t it? It was so lovely to see everyone. Definitely count me in for the next meet up! Thank you! It was a shame you couldn’t be there. Maybe next time?